Cllr. Christy Burke Chair of the Inner City Helping Homeless and Brother Kevin Crowley from the Capuchin Day Centre speaking during a media briefing about the latest homeless crisis involving a family found sleeping rough on Mountjoy Square. Pic Steve Humphreys 11th August 2015. More homeless people will die on our streets this winter unless the escalating crisis is tackled, campaigner Brother Kevin Crowley has warned. 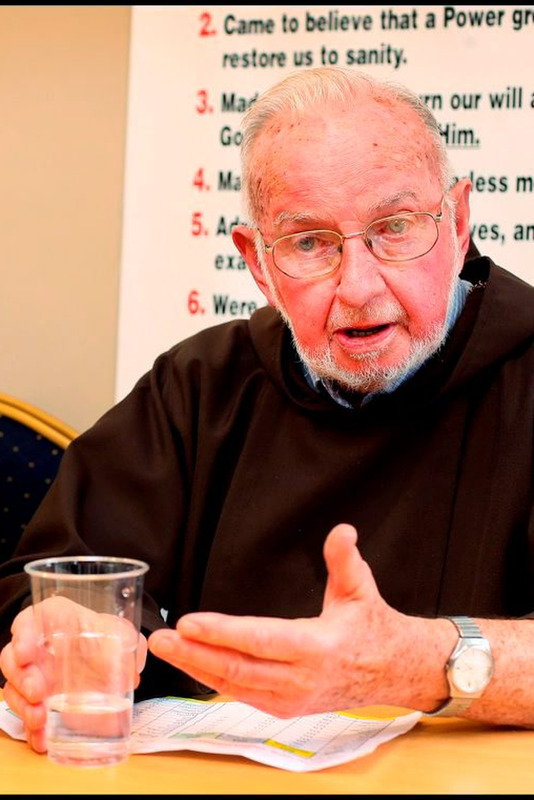 Brother Kevin, manager of the Capuchin Day Centre, said there had been a massive increase in the number of families who had come to his door for food in recent months. He believes the reponsibility for the issue now lies with Taoiseach Enda Kenny and Environment Minister Alan Kelly. His comments come after Mr Kelly pledged to "move heaven and earth" to make sure nobody is forced to sleep rough. "The homeless crisis has gotten worse since Christmas," Brother Kevin said yesterday. "This is the worst I have ever experienced. My fear is that if this continues coming up to winter, we are going to have more deaths on the street. Hotel accommodation is not the answer." The Franciscan Brother said his centre fed up to 600 people every day, as well as providing additional food for families placed in hotels. Focus Ireland also revealed it experienced a record number of families seeking help in July, after receiving 77 referrals. So far this year, it had 466 families referred, just shy of the 485 adults and children it worked with in all of 2014. The charity said the issue must now be a priority for Government. A family with three children were discovered sleeping in a Dublin park earlier this week. It said the Government's policy to refuse to raise rent supplement had played a massive role in creating the crisis. Mr Kelly said he needs "the cooperation of the local authorities" but insisted the problem is not related to budget. "The problem is not based on funding. If there is extra funding required, I will supply it. It is about making sure that all the organisations that are working in homelessness are working together," he said. Taoiseach Enda Kenny echoed his remarks and said local authorities had a responsibility to provide any homeless person or family with shelter, insisting if they did not have the funds to do so, more would be made available. He said that of the €37m made available as an initial payment to the four Dublin local authorities to deal with the matter, only €23m had been drawn down. The Taoiseach also said B&Bs and hotel accommodation were "not suitable" as long-term solutions for families. The Dublin Region Homeless Executive said it was currently dealing with an "unprecedented" demand for its services. The number of adults and their dependants who are homeless has almost doubled since last July. It said between April and June of this year, 1,975 adults were accommodated on a nightly basis. And 556 of these were families accompanied by 1,185 children every night.